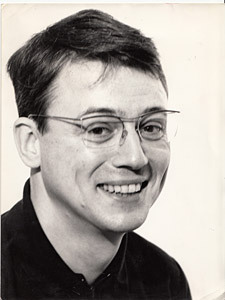 Alexander Kluge is one of the leading intellectual voices in Germany today. Described, as a young man, as “Adorno’s favorite son” (O. Negt), over the past half century Kluge has created a vast body of work that can be regarded as a continuation, in word and image, of the Critical Theory of the Frankfurt School. 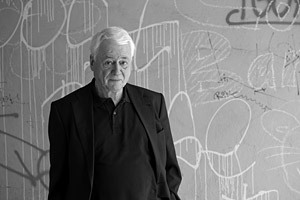 To begin with his most recent output: Kluge published three major works in 2013. Nachricht von ruhigen Momenten [news of tranquil moments] pairs 89 prose miniatures by Kluge with 64 photographs by the contemporary German artist Gerhard Richter (Nachricht is the second volume that Kluge has published in collaboration with Richter; the first, entitled Dezember, appeared in German in 2010 and subsequently in English translation as December: 39 Stories, 39 Pictures, published by Seagull Books in 2012). In “Wer ein Wort des Trostes spricht, ist ein Verräter”: 48 Geschichten für Fritz Bauer [“Who utters a word of solace is a traitor”: 48 stories for Fritz Bauer], the “stories” of the title concern the destruction of European Jews in the “Final Solution” – Fritz Bauer was the district attorney in Frankfurt in the 1950s and 60s who carried out the first Auschwitz Trial. Theorie der Erzählung [theory of narrative] is a four-hour compilation of filmed lectures from Kluge’s 2012 lectureship in poetics at the University of Frankfurt, published together with related text and images. Next, a quick look at his beginnings: Kluge acheived renown in the early 1960s as both a writer and a film director. His film Abschied von Gestern (released in the United States as Yesterday Girl) won the Golden Lion at the Venice Film Festival in 1966, the first German entry since 1945 to garner the prize. Kluge’s 27th film played in cinemas in 1987. To call him “the German Godard” is to aptly characterize Kluge’s work as a filmmaker. Without Kluge in the role of organizer and moderator, the “New German Cinema” of the 1970s (Fassbinder, Herzog, Schlöndorff, et al.) would never have attained the international standing that it had in those years. Kluge’s first volume of stories, Lebensläufe, published in 1962 (translated as Case Histories, Holmes & Meier, 1988), traces the breaks and discontinuities of 20th-century German life stories (someone born around 1900 lived under four states by the age of 60). It was followed in 1964 by Schlachtbeschreibung (The Battle, McGraw-Hill, 1967), Kluge’s montage novel about the Battle of Stalingrad. Together they established Kluge as “the inventor of the documentary method.” And yet, for Kluge, there can be no facts that are not laden from the start with fantasies, emotions, memories, wishes, and protest. Objective truth is not to be found in “objectivity,” but in the interrelation between the objective and the subjective. “The most objective thing of all is the subjective,” Kluge wrote in one of his most baffling statements. For Kluge, human nature, in which characteristics like “primal trust,” “hunger for meaning,” and the pursuit of happiness are firmly entrenched, is a hard fact in the same way as the beauty and cruelty of external nature and of history are factual. To date, Kluge has published five major volumes of stories (around 7,000 pages in all); they bear the influence of the American short story. He has received all of Germany’s important prizes for literature, as well as film prizes in Venice, Cannes, and Berlin. The weekly “Culture Magazines” Kluge has produced for television since 1988 stand out as exceptional offerings among the medium’s commercial fare. For 25 years, Kluge has produced two or three broadcasts each week of 15, 25, and 45 minutes in length, a total of about 1,700 hours of broadcast time. With segments covering books, film, and opera, the programs hint at what television could be if it were produced according to the criteria of auteur cinema. Thematic barriers are nonexistent: whatever is interesting in art, science, or philosophy should have a place on television. With Kluge’s permission, this website documents three seasons of the “Culture Magazines,” featuring Kluge in conversation with his “colleagues,” intellectuals of Kluge’s own stature. We are also pleased to present Kluge’s Serpentine Gallery Program, a collection of short films produced between 1995 and 2005, as well as his 2008 Nachrichten aus der ideologischen Antike: Marx – Eisenstein – Das Kapital (News from Ideological Antiquity: Marx – Eisenstein – Capital), Kluge’s ambitious realization of a plan, proposed by Sergei Eisenstein in the 1920s, to make a film of Marx’s Capital.